The reputation of traditional Japanese cuisine as one of the healthiest world cuisines precedes it – and with good reason. Why does Japan have the lowest obesity rate in the developed world and why do its people live longer than everyone else? The secret is in the food and how it’s eaten. 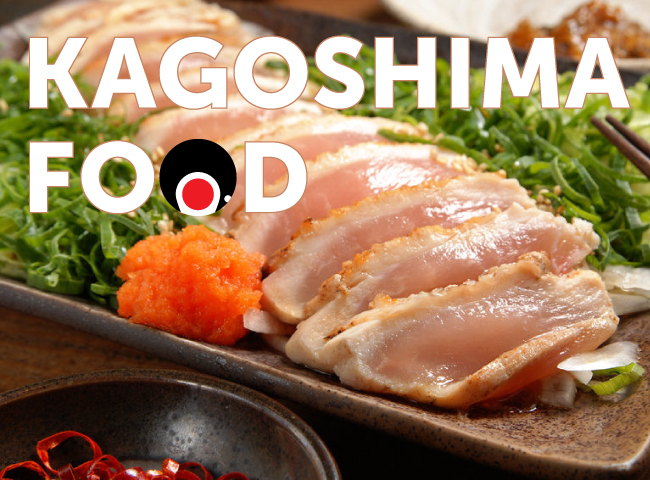 A traditional Japanese diet is well balanced, featuring more fish than red meat, plenty of vegetables, pickled and fermented foods, and small portions of rice. It involves little highly processed food and lower overall sugar intake. Basically, the Japanese diet is low in calories and extremely nutritious. 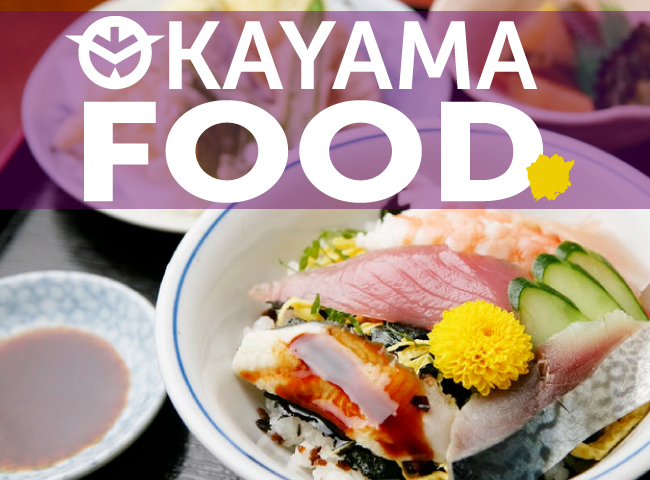 Let’s have a look at some of the super healthy Japanese foods that have been eaten for centuries. Unripe ume (Japanese plums) are cured in salt and shiso leaves for a few months, then dried in the sun, producing a sour and salty little pickle that is a real kick for the tastebuds. Legend has it they were given to samurai on the battlefield as a pick-me-up! 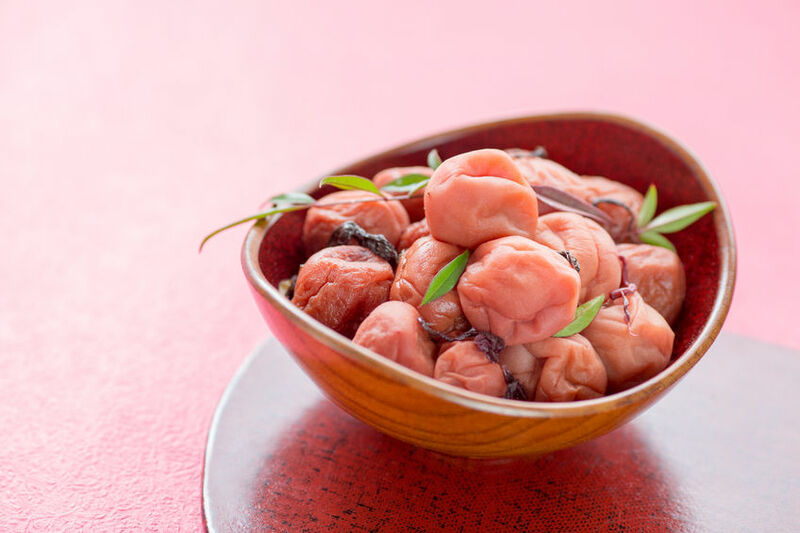 Maybe because its packs a punch of citric acid, umeboshi has also long been used for liver health in Japan. Citric acid has an alkalizing effect on the body as well as antibacterial properties; it also helps your body absorb minerals. Finally, ume plums also contain substances that protect against stomach ulcers, the hardening of arteries and gum disease. 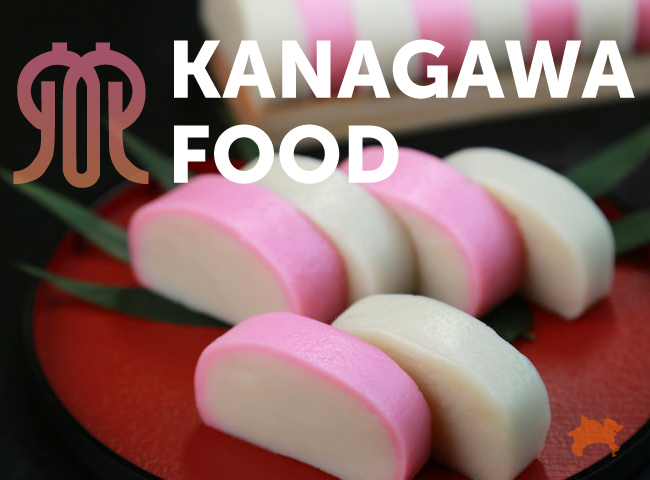 These pickled pink treats are usually eaten with rice. 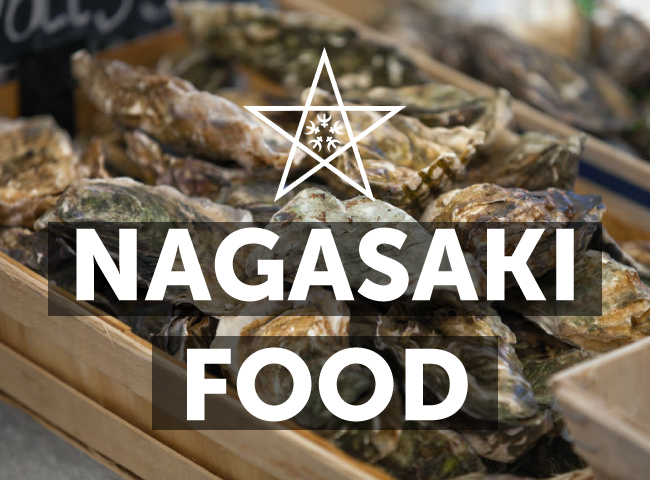 Made from fermented soybeans, this healthy Japanese food is full of beneficial bacteria, enzymes, antioxidants and important vitamins and minerals. It’s even a complete protein, containing all the essential amino acids. Nutritionists across the world have caught onto its benefits—it plays a part in boosting immunity, strengthening digestion, lowering cholesterol, preventing osteoporosis, aiding memory and stress, and supporting healthy skin. 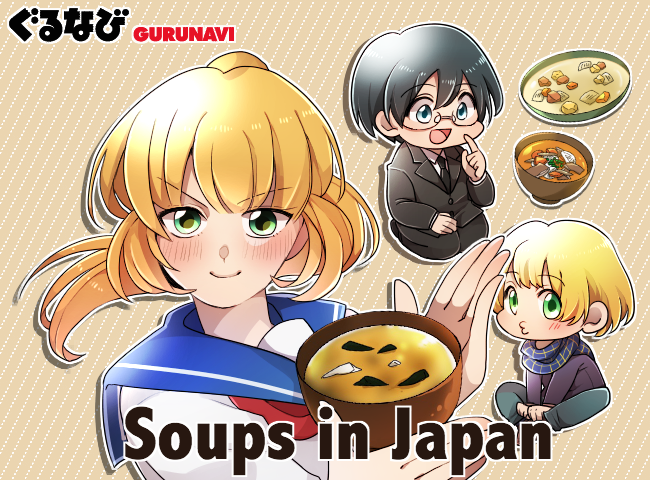 There are hundreds of regional varieties of miso in Japan, ranging in color from white and yellow to brown and red, and in taste from mild to strong and salty. 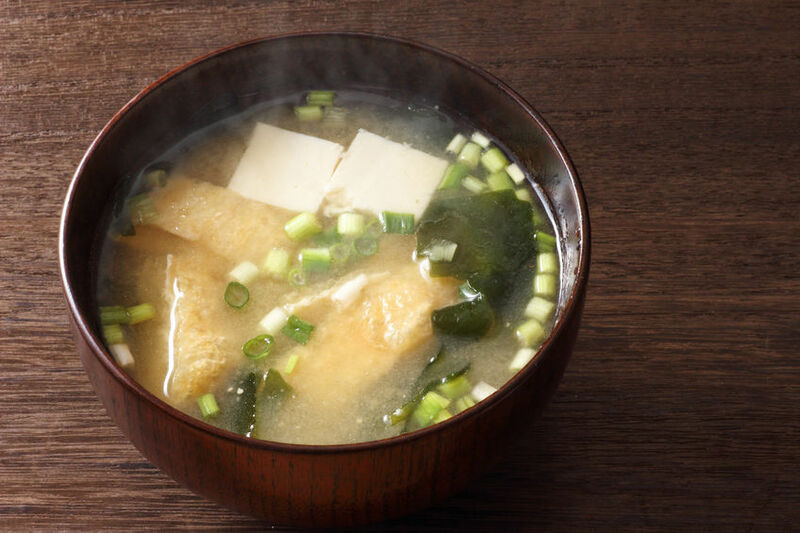 Miso is most commonly eaten in soup, but there are many different ways to use it. Topping the lists of many Japanese healthy foods, natto is also famous for having a smell that isn’t exactly rosy. Whether you agree or not, it’s well worth a try. Natto contains a unique enzyme that is good for heart health, as well as vitamins K1 and K2, which together aid blood clotting and heart health. Vitamin K2 is less available in Western diets and tends to be more effective than K1. 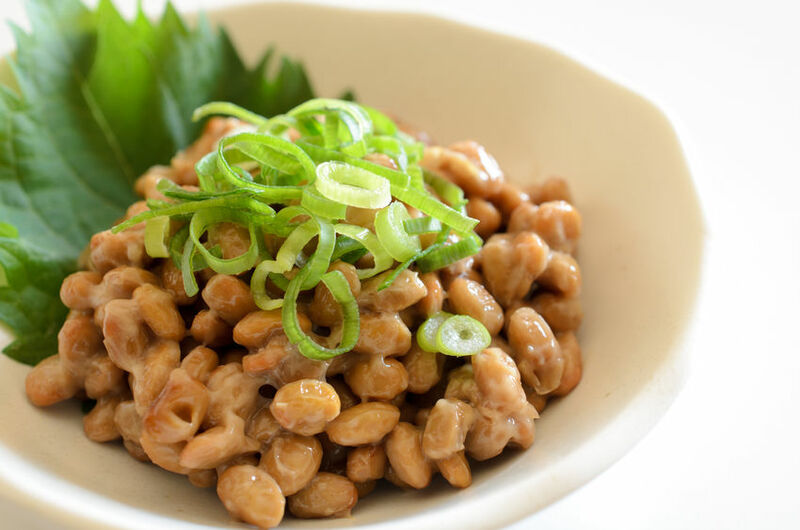 Natto delivers a list of other vitamins and minerals and is high in protein and dietary fiber. Plus, because it’s fermented, the nutrients are absorbed more easily. Natto may be an acquired taste, but it has long been a breakfast staple in Japan that is especially delicious when mixed with green onions and soy sauce and served on rice. Don’t be misled by the name – there’s no sake in this thick, nutritious, rice drink. 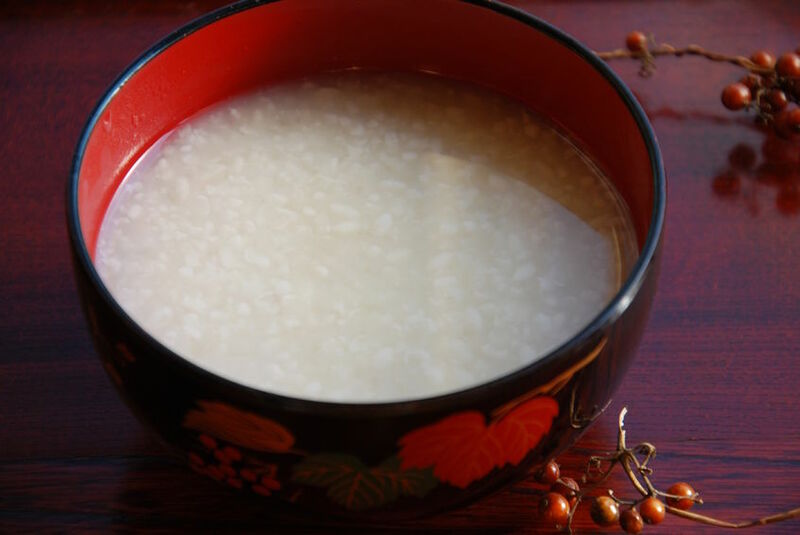 Like other fermented foods, much of the health benefits of amazake come from the enzymes and bacteria it contains, plus a rich serving of the vitamins and minerals already present in rice. Made from koji fermented rice, amazake contains kojic acid, B vitamins and several other elements that nourish the skin, hair and nails, and even more importantly, it is high in dietary fibre and certain digestive enzymes that aid digestion. Amazake can be drunk by anyone, including babies, and is delicious served warm in cold weather. In the Edo period, amazake was seen as such an essential energy source that it was price-controlled. This grey, jelly-like food may not look appealing but it’s pleasantly chewy and offers an unusual nutritional profile. 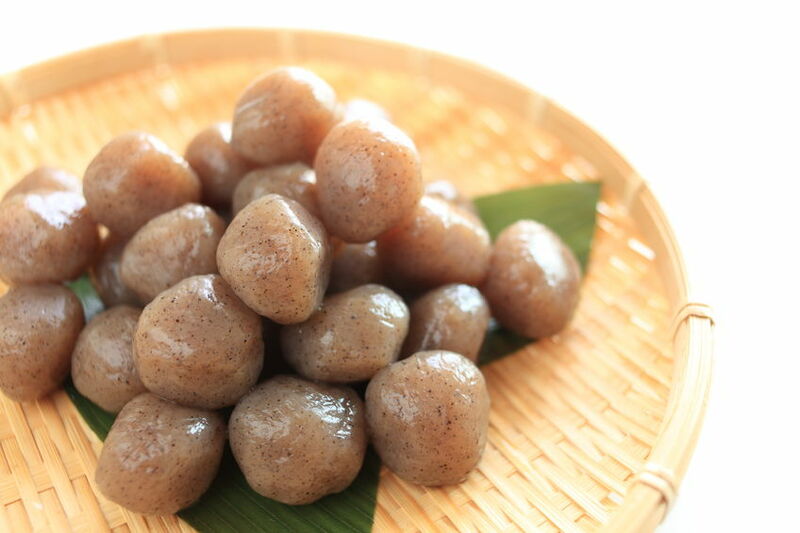 Made from a type of yam, it’s added to simmered dishes and hot pots. With little flavor itself, it takes on that of other ingredients. Konnyaku is known as a “broom for the stomach” as it is 10 percent indigestible fiber, and with next to no calories, it has a reputation as a diet food. But konnyaku’s mineral content shouldn’t be overlooked: it contains iron, calcium, phosphorus, selenium and potassium. It has also been found to normalize cholesterol levels and blood sugar and prevent high blood pressure. No wonder that after more than 1500 years, it’s still considered an incredibly healthy food in Japan. 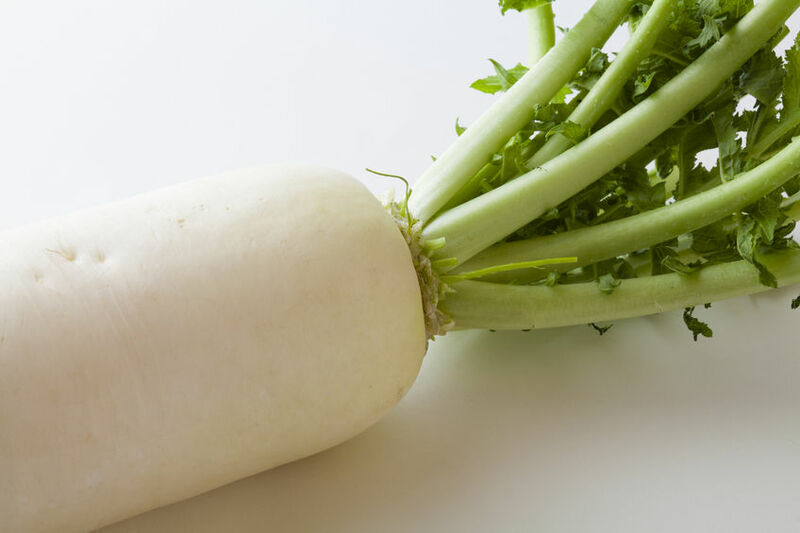 Daikon radish looks like a normal vegetable, but it’s far from it. The root is eaten in miso soups or grated as a palate cleanser, but don’t ignore the leaves – they contain even more vitamin C. Daikon supports digestion by breaking down fats, animal proteins and dairy, not to mention being rich in dietary fiber—it is often served alongside meat. Loaded with minerals including copper and iron to make red blood cells, daikon can help lower cholesterol and blood pressure. It improves kidney and liver function, has antibacterial and antiviral properties, and supports respiratory decongestion. On top of all that, it is 95 percent water – so you don’t need to think about calories. There’s a reason green tea is known to keep you alert without being jittery: An amino acid called theanine (or L-theanine) unique to tea leaves helps create a relaxed but focused mental state and tempers the effects of caffeine in tea. The tannins in green tea also have numerous beneficial effects, particularly on cardiovascular health and by being rich in antioxidants. 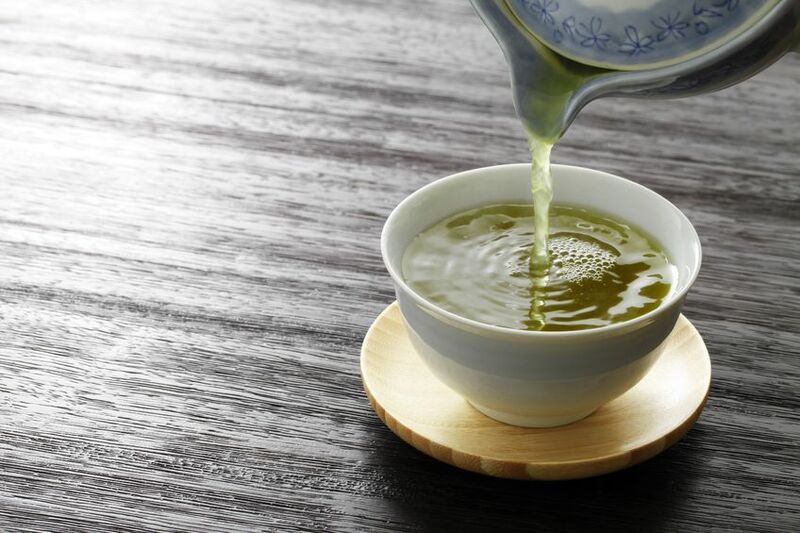 Each variety—such as sencha, hojicha and matcha—is rich in vitamins C and E and contains potassium, manganese and calcium. However, since the whole leaf is used, matcha is estimated to provide 10 times the antioxidants of brewed leaves. Green tea also has antibacterial properties for the gums and teeth. Seaweed comes in many forms but whether you’re eating dried nori sheets around sushi, soft wakame in miso soup, or small, twiggy hijiki as a side dish, you’ll be enjoying one of the most healthy Japanese foods around. This nutritional powerhouse is loaded with minerals like zinc, selenium, iodine (for thyroid health), magnesium and calcium (working together for bone health), copper and iron (some types have more iron than chicken liver), plus vitamins B12 and K, and heaps of dietary fiber. 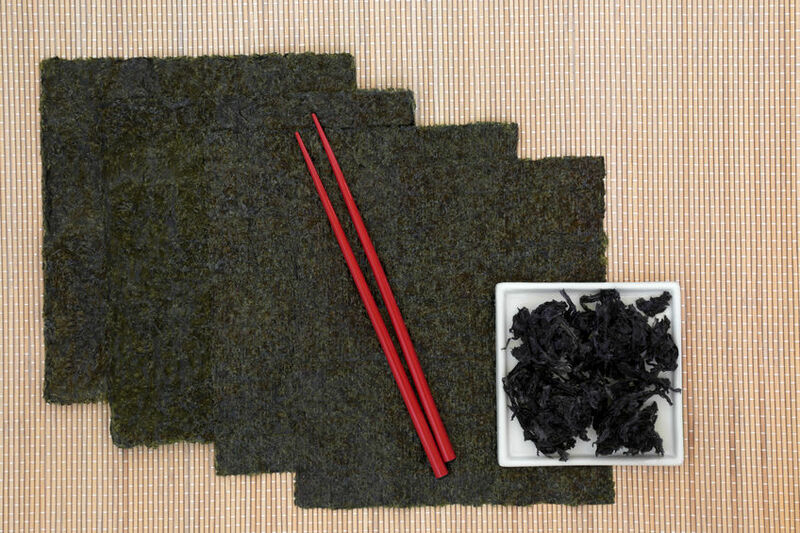 Nori seaweed contains plenty of omega-3 fatty acids and is up to 50 percent protein. This all-round wonder food even helps lower blood pressure and cholesterol and balance glucose and insulin levels. 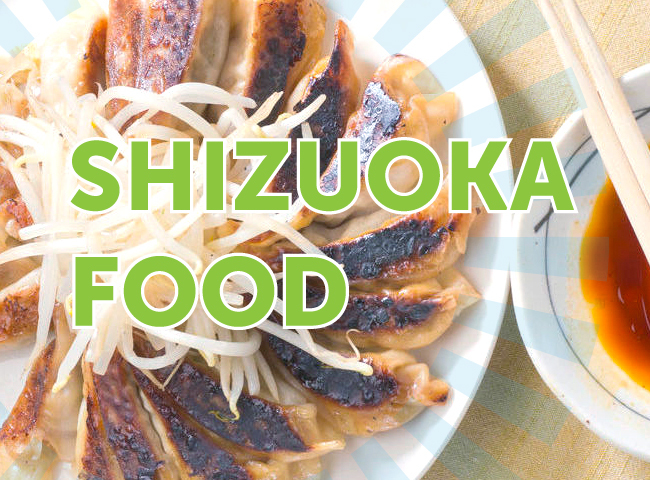 Being chock-full of essential nutrients, it’s not surprising that these healthy Japanese foods are increasingly being touted as important additions to a healthy lifestyle. Wherever you live, incorporating them into your diet is getting easier all the time as Japanese restaurants and stores spread around the world. Of course, eating these foods is not only about the health benefits—you might also discover a new favorite food! 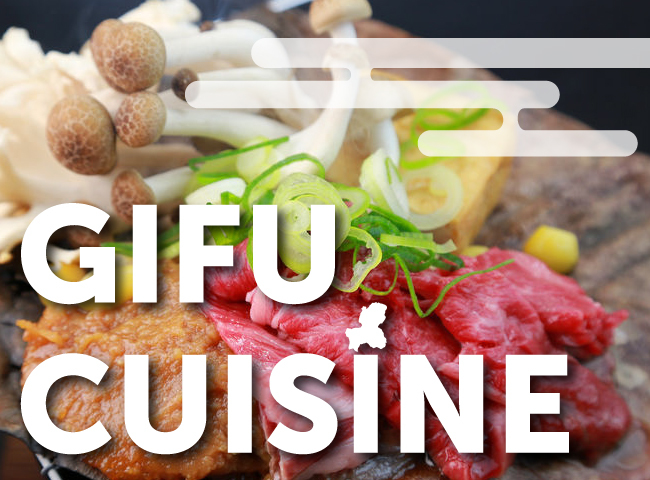 Browse Gurunavi’s listings to find a restaurant serving Japanese health food.